Rectangular plaque with rounded top. The plaque is framed, and set upon a wooden backboard of the same shape. 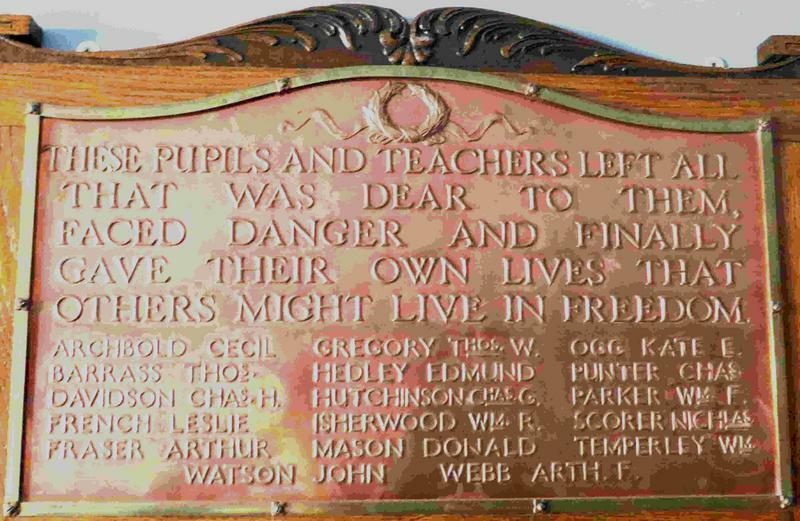 The plaque features a raised decorative wreath at the top centre, with raised lettering for the dedication. The backboard has decorative carvings at the top centre also.